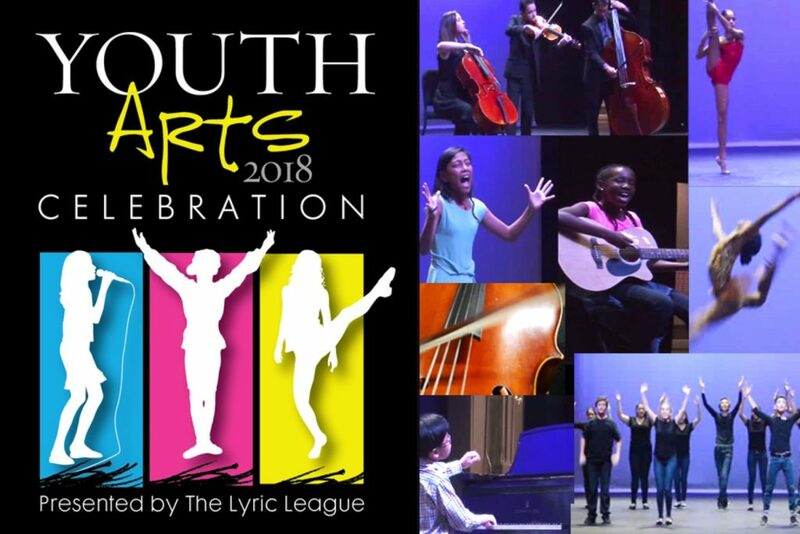 The Lyric League is proud to present Youth Arts Celebration 2018! Aspiring entertainers, grades 1 thru 12, will take the stage in a diverse lineup of performances including singers, dancers, actors, musicians, acrobats, spoken word and more! Come celebrate our leaders of tomorrow for their commitment to their craft, the courage to express themselves and their love of the arts as they share their gifts on The Lyric stage. Thanks to the generous support of our sponsors, the inaugural Lyric League Youth Arts Celebration was host to 27 amazing performances by 65 emerging young artists, and raised more than $25,000.00 in funds earmarked for The Lyric Theatre’s Arts & Education Programs. Won’t you help us to make our second annual Youth Arts Celebration an even bigger success? Spread the word and bring a friend so that they too can make a difference in these young lives. Macaroni Kid of Stuart/PSL, Crary Buchanan Attorneys at Law, Stephen & Aida Fry, Janice Binger, Betsy Herold, The Holt Family Foundation, Helen & Paul Kleinfeld: First Florida Development and Construction, Inc., The Moore Family, Larry Thackray: PURE Graphics, Inc., Wong Family Foundation, Center State Bank, Ethel Christin, The Cohen and Clinton Group of Baird & Co., Patty Downing Interiors, Inc., Flanigan’s Bar and Grill, Drs. Tom & Shannon Galinis, HBKS Wealth Advisors, Dottie Kohl, Jeff & Diane Lawrence, Nancy & John McCoy, Frank Byers Jr. & Karen A. Rodgers, Vincent & May Smyth and WQCS/88.9 NPR for The Treasure Coast. The Youth Arts Celebration is an event spearheaded by The Lyric League to provide local emerging student artists with a performance opportunity in the beautiful Lyric Theatre and to raise awareness of The Lyric Theatre’s Arts & Education programs such as artist master classes and residencies, The Discovery Series, family programming and Lyric’s AWESOME! Summer Camp. Funds for these programs will be raised through event sponsorships and ticket sales. The Lyric League is an auxiliary group formed to help The Lyric Theatre with its mission of providing a home for the performing arts that entertains, educates and stimulates the growth of artistic integrity and experience for everyone. Since its inception in 1997, The Lyric Theatre Arts & Education programs have provided Treasure Coast families with the wonderfully unique and magical experience that only live performing arts can offer. As funding for the arts continues to dwindle, The Lyric is more committed than ever to give all area students and families the opportunity to share in this cultural resource.